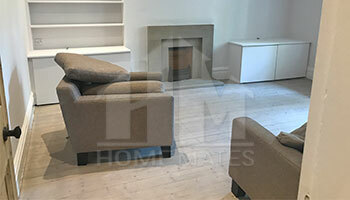 Choose reliable and guaranteed end of tenancy cleaning service in Southfields, SW18 with HomeMates. Give us a call now and get an instant free quotation! We are professional cleaners in Southfields, SW18 who deal with end of tenancy cleaning. We clean rented properties after renters relocate. The process is very well thought out and it includes all essential aspects of cleaning, from scrubbing to vacuuming and sanitising every available surface. We take care of the final cleaning of the premises, whenever the landlord or tenant call us in. Generally, we work from Monday to Sunday and encourage you to try our service if you are about to move out or if you own a property and now your renters will move house. Make sure you dial this number and we will schedule an appointment. It is important to know that our service includes a guarantee. It’s good through 48 hours after we clean your property. You can take advantage of it if you are dissatisfied with our service. Note that what we can do is come back to the building and re-clean the areas we missed to clean. During the process there are several things that we do, such as: cleaning and polishing skirting boards, door frames, radiators, wooden surfaces; cleaning windows from inside; dusting all knick-knacks, wall hangings, pictures, mirrors and furniture; scrubbing the toilet, sinks, tiles, bath tub and any other surface that needs scrubbing; removing limescale, stains and white foam, etc. Cleaning your lodgings is a lot of work. It’s not like the regular type of cleaning you would do during your stay. It’s more detailed and deeper, requiring more time, effort and skills. We know that and we do our best to make you happy with the results. We are aware you don’t have much time between moving out of your old apartment and moving in a new property, so we offer to help by doing all the cleaning for you, giving you enough free time to deal with the rest of the tasks. We will have it all figured out for you in no time and at a reasonable price. We are available in Southfields, SW18. In case you need more details about us, you should call us. Our telephone lines are open day and night for your convenience. Get in touch with us now.